Dorchester native Patrick Radden Keefe's new book takes place across the pond, but it certainly hits home. It's called "Say Nothing: A True Story of Murder and Memory in Northern Ireland." 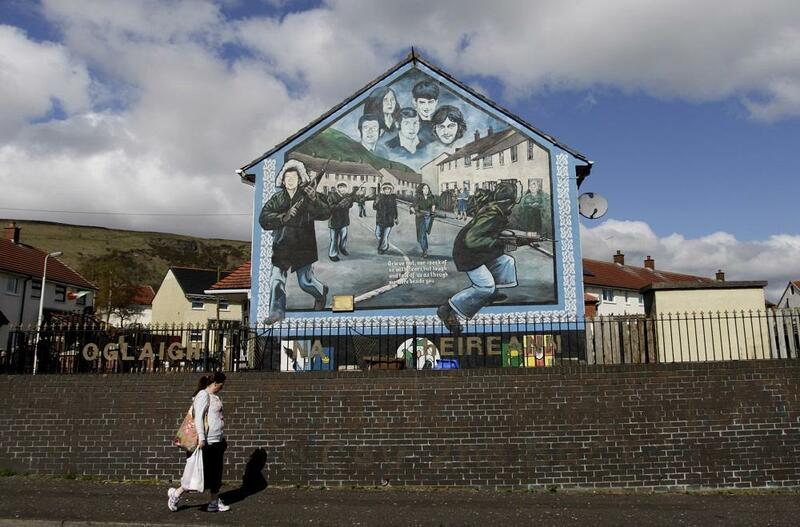 It's about the 1972 disappearance of Jean McConville — a single mother of 10 — during the period of nationalist and religious violence known as The Troubles. Keefe not only attempts to solve McConville's kidnapping and murder but also captures the trauma felt by an entire culture. And he does it with the help of a rich — and controversial — archive at Boston College. The book paints a rich portrait of the tragedy of the McConville family — and the Provisional Irish Republican Army fighters connected to the mother's killing. Patrick Radden Keefe, New Yorker staff writer. He tweets @praddenkeefe. "I'm always casting about and looking for ideas ... I'd been aware of the troubles growing up, certainly in Dorchester, but my real interest here came from [the IRA fighter Dolours Price's] obituary, and the idea that you could look at the stories of these two women — one a victim and one a perpetrator — and try to tell a larger story about the history of The Troubles." "Normally what would've happened is, if you have an informer, you would kill them and you would dump them on the street. With Jean McConville, they disappeared her. And that was I think by most people's admission, even Dolours Price's, a much worse thing to do. Because if you dump the body on the street, it's obviously a terrible brutal thing to do to the family, but the family can bury the body, and they have a grave to visit, and they have some sense of closure.The problem for the McConville children, and for others who had family members who were disappeared, is you just don't know. Some of the children for years thought she might come back." "There aren't a lot of mustache-twirling villains in this story. By and large this is about ordinary people who are thrust into extraordinary historical circumstances. And many of them did awful, awful things. But I think a lot of them had the humanity to see that those were awful things ... in service of the ideal — you know, 'we want to get the Brits out' — they did some brutal, brutal things." "You go to Northern Island, and the past is the present. They're living with the past all the time ... in some ways I think the funny thing about Brexit is, I think voters in the U.K. sort of forgot about the Irish border, and the Irish problem, and the conflict, and The Troubles, when they made that vote, not realizing that if you leave the European Union, then the only land border between the U.K. and the E.U. is going to run right through Ireland. They're discovering now they forgot about that, to their peril." This segment aired on March 7, 2019.